"The nature of our spirit drives us to seek the essence or the reason of things, so we tend to look farther than the object of our quest . . . Yet, we cannot go beyond the how, that is to say beyond the near causes or the conditions of the existence of phenomena . . . What is true is that the nature or the very essence of all phenomena, be they vital or mineral, will forever remain unknown to us . . . Science has precisely the privilege of making us know what we ignore, substituting reason and experience to feeling, and showing clearly the boundaries of our present knowledge. But, by virtue of a wonderful compensation, as science humbles our pride, it strengthens our power . 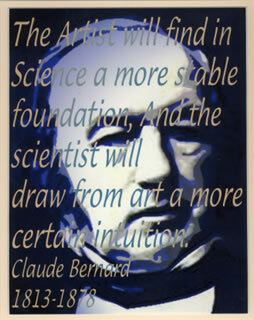 . . To sum up, if our feeling daily asks 'why', our reason shows that only 'how' is within our reach; for the present, it is thus only the how that interests the scientist and the experimenter" (Bernard, 1838).